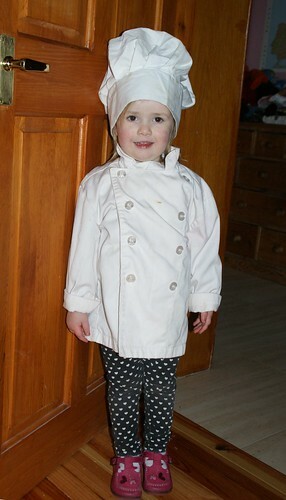 I like to borrow Léon's chef suit sometimes to help Charlotte when she is making the dinner. I feel very important when I wear it. Today I also had on my beautiful new shoes that farmor bought me. I love my new shoes very much.